What difference can the cut of a diamond make? It's a question that deserves a detailed answer. Each cut we make in the creation of a diamond unlocks the beauty in the form of sparkle. The final effect is magic. Over generations, we at Lurba have focused on our craft, using artistry and science to improve the brilliance, and create more of the allure that attracts us. The cut grade indicates whether the diamond was cut to maximize sparkle. This grade refers to the "whiteness" of a diamond, or its lack of color. 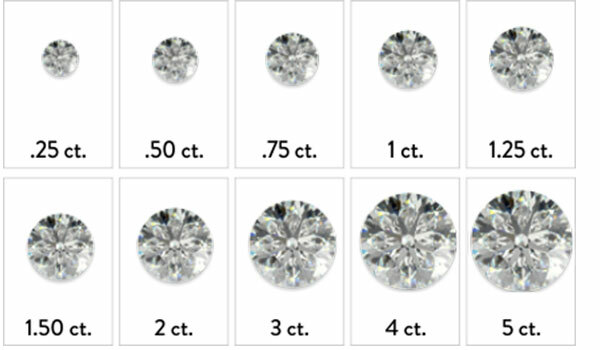 The clarity grade is based on only tiny natural identifiers found within adiamond. This is a measure of a diamond's weight and a reflection of its size. The cut grade indicates how much a diamond will sparkle. Cut refers to how perfectly the symmetry and proportions of the diamond capture light and then deliver it to the eye in the form of sparkle. If the diamond does not have exceptional proportions, or if the symmetry is off, the light will not travel through the diamond and return to the eye with maximum sparkle. If you choose a diamond with a cut grade of Reserve Ideal or Ideal, you'll notice that it has more sparkle than diamonds with lower cut grades. If you're looking for a larger diamond within your budget, consider selecting a diamond with a Very Good cut grade, which will deliver amazing sparkle at a more affordable price. And if you want to maximize the size of your diamond, any Lurba diamond with a cut grade of Good will still sparkle beautifully. Color is the characteristic of a diamond that is most easily detectable by the eye. Look at any Lurba diamond, from D to J (colorless to near-colorless) and you wont notice any distracting color, just beautiful sparkle. 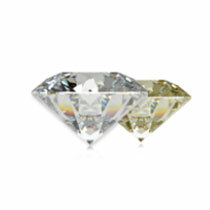 K and L graded diamonds are considered faint yellow. This means that, while still white diamonds, they reflect some secondary tones. These diamonds therefore look their most brilliant when set in yellow gold, which has a muting effect on the diamond’s faint yellow. 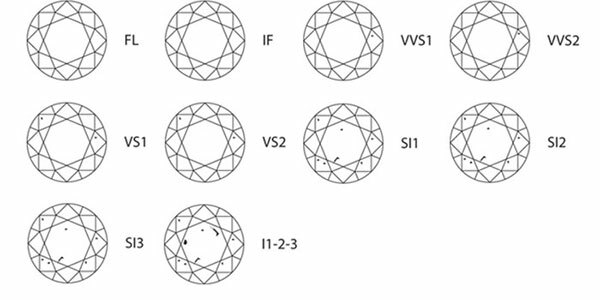 For an exceptionally white and colorless diamond, to be set in a white metal, consider those in grades D to F. Alternatively, grades G to J are almost invisible to the untrained eye. 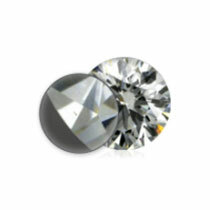 The clarity grade is based on any tiny natural identifiers found within a diamond. 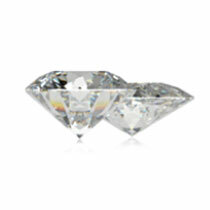 It is very common for diamonds to be formed with slight imperfections. These are known as "inclusions" and can come in many forms, including tiny white points, dark dots, or feathery cracks. The fewer inclusions, the more the stone is worth. A diamond's clarity ranking is determined by the number, size, type and placement of the inclusions. In order to grade the clarity of a diamond, it is necessary to observe the number and nature of any internal characteristics in the stone as well as their size and position. This Diamond Clarity Grading is carried out using the IGI scope and a loupe 10x under the experienced eye of laboratory gemologists. A diamond is said to be “Internally Flawless” when it presents no internal defects under 10x magnifications. Carat weight is exactly that — a weight measurement. 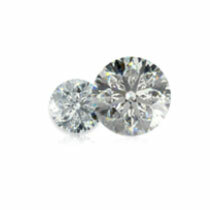 But carat weight does not always clearly help you determine if one diamond looks larger than the next. Consider that the carat weight of a diamond is the total weight, no matter how that weight is distributed. If a diamond is poorly cut and is tall and narrow, when viewed from the top that diamond will appear smaller than a diamond of equal weight. To eliminate this concern when shopping at Lurba Jewels, we do not offer any diamonds cut to maximize carat weight at the expense of sparkle. For the best value in carat weight, instead of choosing .50 carats, 1.0 carats, or 1.5 carats, etc., choose diamonds that weigh slightly less. You'll notice a significant price savings.